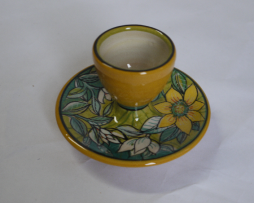 Eggcup with interior and exterior plain decoration and saucer with floral decorations. 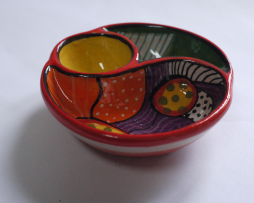 Single eggcup with various decorations. 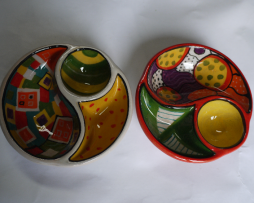 Three spaces eggcup with decoration “Vortices”.